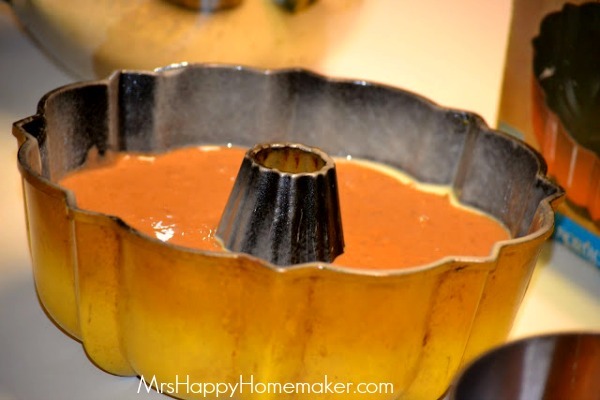 Starting today, I’m doing something new on the Mrs. Every Friday, I’ll be posting a recipe from the archives! 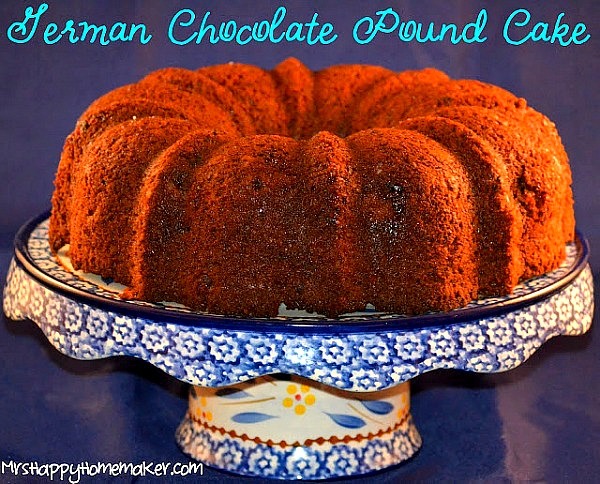 Today, I’m re-sharing this recipe for German Chocolate Pound Cake that I originally posted back in February of 2012. This one is so super simple, you won’t believe what the trick is! 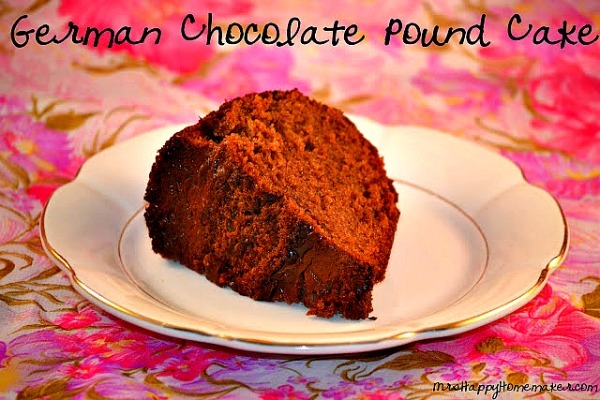 Plus, it’s the moistest pound cake I’ve ever had, and the flavors really can’t be beat! I have to give a shout-out to the elderly lady in the grocery store several weeks ago. 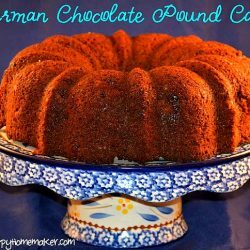 She told me how she makes her German chocolate pound cake by mixing cake mix & store bought coconut pecan icing together. She swore by how good it was, and when I decided on doing this week of boxed mix recipes – her words instantly came to mind. Now, I would be lying if I said I wasn’t a little nervous about the outcome of this. The thought of combining prepared icing into my pound cake seemed a bit odd, but also intriguing. 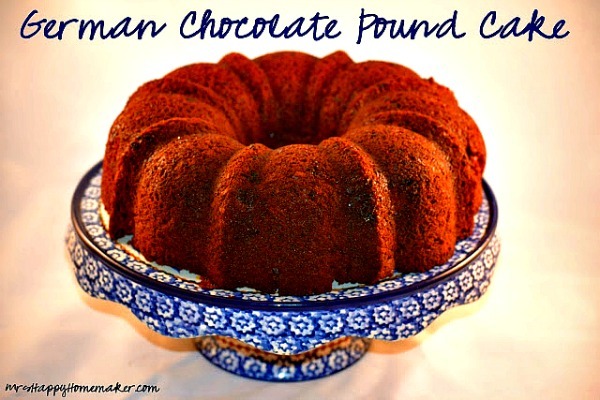 The result was the most moist pound cake I have ever made. And, it came from a mix! You seriously could never guess. 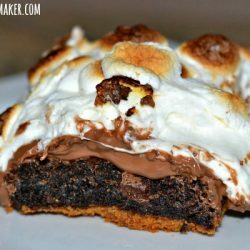 This recipe is ingenious! This cake disappeared so fast – nobody in my family could stay away from it, myself included. You really must give this a try – you won’t be disappointed. 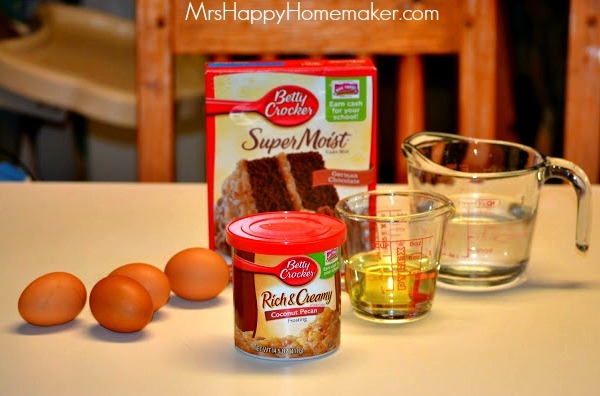 All you need is German chocolate cake mix, coconut pecan icing, eggs, water, & oil. You can also substitute the water for milk (or buttermilk) to make an even richer cake. 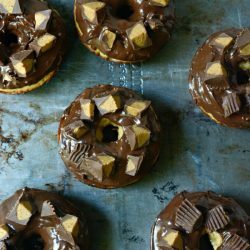 Combine everything except the icing with an electric mixer or whisk. Gently stir in the coconut pecan icing. 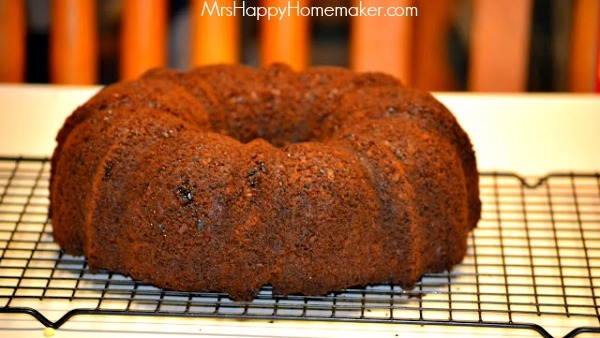 Spray a bundt pan with Bakers Joy – or lightly grease & flour. Pour in your cake batter. Bake in an oven preheated to 350 degrees for an hour. When done, let the cake cool inside of the pan on a wire rack for 10 minutes. Then remove from the pan, and cool for at least another 10 minutes before slicing. 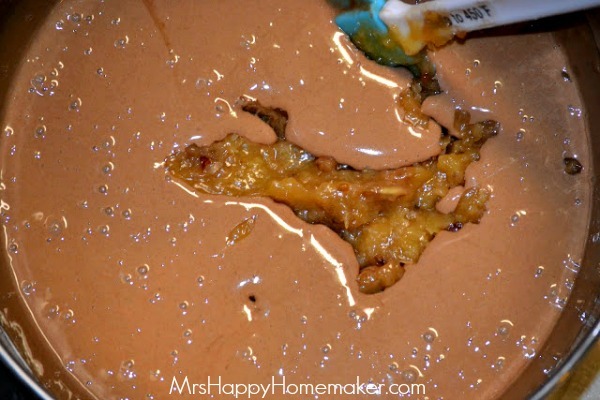 Combine everything except the tub of icing together with an electric mixer or whisk. Then gently stir in the coconut pecan icing. 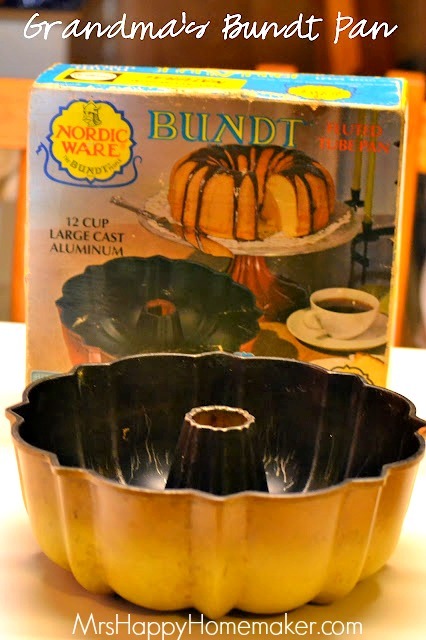 Grease & flour a bundt pan – or spray with Bakers Joy. 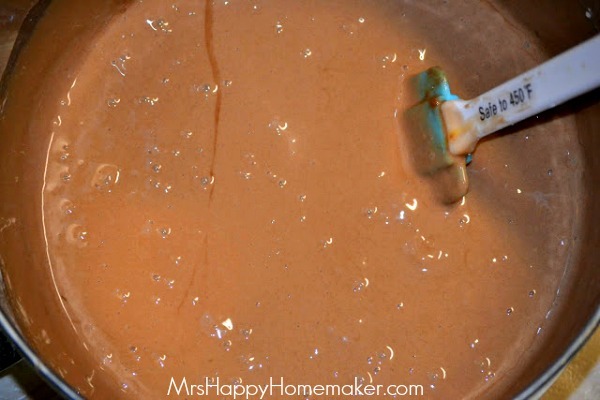 Pour the cake batter into the pan. Bake for 1 hour. Cool in the pan, on a wire rack for 10 minutes. Remove from the pan, and cool an additional 10 minutes on the rack before slicing. I made this and it is [was] wonderful! I took it to a church supper and a couple ladies were ‘fighting’ over the crumbs! Its got to be made again! Thank you for sharing this! 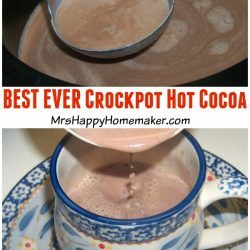 My new ‘go-to’ when I need a quick last minute dessert! 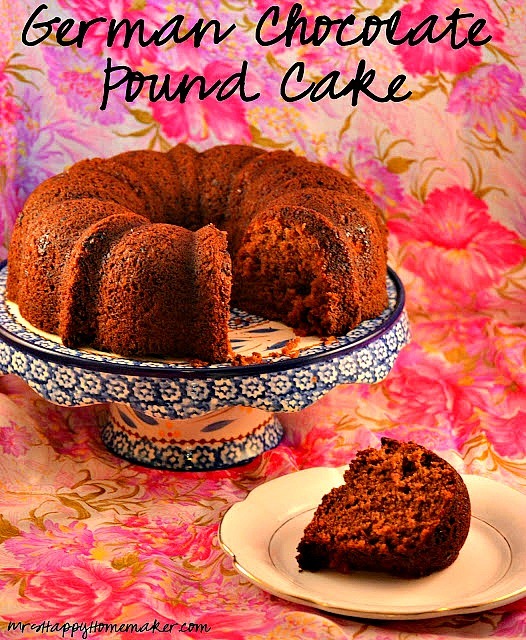 What a beautiful bundt cake! Yay! So glad you like it, and have fun experimenting!! YAY! Thanks for letting me know! So glad you liked it!